Scan Copyright © The Cardboard America Archives on Flickr. All rights reserved. The Desert Inn is still there right across from Disneyland’s main entrance and has even added a buffet. While there are a few nice plants out front, everything else has been wrapped in the usual "Modern American Boredom" style including the swimming pool which is now indoors. 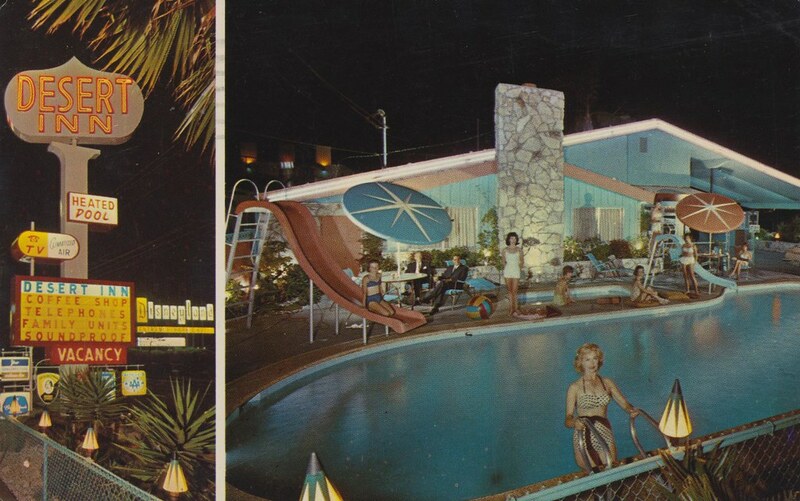 Posted in 1960s, Retro/Vintage, TravelTagged Americana, motel, neon, postcard, SoCalBookmark the permalink.